LifeWealth Principles, LLC, located in Golden, Colorado, offers customized financial planning and wealth management services. We are comprehensive wealth management professionals specializing in helping clients who either are planning for retirement, or are retired and wish to preserve and grow their assets. We focus on independent financial guidance with emphasis on income tax reduction planning, asset preservation, wealth transfer planning, and retirement income distribution strategies for those who wish to maximize their distributions for themselves and their heirs. At LifeWealth Principles, LLC our goal is help our clients during these challenging times by giving them the knowledge, tools and a comprehensive plan to outline their future and to help take them where they want to go. 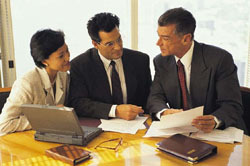 Our commitment to educating clients allows them to understand and be confident about their investment decisions. please contact us so we can schedule your review at your earliest convenince.